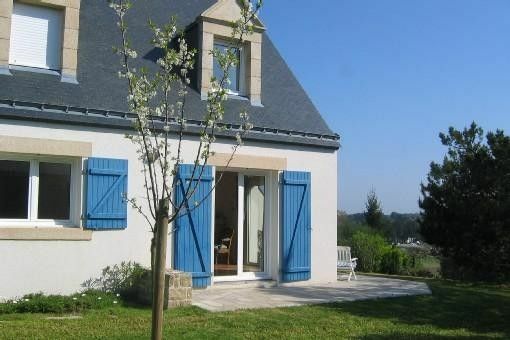 House of 150 m2, 6 rooms, nice garden and flowers, open view, located 800 meters from the beach of Men Du, 2 km from the port of La Trinité-sur-Mer and Carnac, for 10persons + 1 or 2 children . Large living room and kitchen overlooking the ground floor of the garden. A room on the ground floor with shower room and upstairs 4 bedrooms, a bathroom, a shower room and a small baby room. Any comfort, garden furniture, barbecue? hammocks. Tarif dégressif pour 2 semaines ou plus.